Anup Jalota and Sreesanth made a smashing re-entry in the house and well, the tables have turned now. Firstly, Anup expressed his displeasure over Jasleen and even was upset with Romil for getting close with Jasleen in his absence. Sreesanth on the other hand decided that he would play a game himself and lied to inmates that he was visiting a relative’s place. Sreesanth and Anup discussed how Dipika was the number one player in the house and that everyone should be wary of her. The episode started with Bigg Boss announcing that there won’t be any Jodis’ in the house now and everyone would be playing as a single contestant. But the makers asked the Jodis’ to take last decision as a pair and nominate one individual on the basis of his/her ability to be seen in the house and garner entertainment value. Urvashi, Saba, Shivashish got nominated but Bigg Boss threw another twist. Captain Jodi: Surbhi and Romil were asked to exercise their veto and swap one nominated individual if they wish too. They save Shivashish and nominate Sourabh instead. So the final nominated candidates are: Urvashi, Saba and Sourabh. From singles, Sirshty, Karanvir and Jasleen got nominated. Sirshty was very angsty as she thought she didn’t deserve this. Urvashi too seemed crestfallen as she muled over being treated badly from Sreesanth. 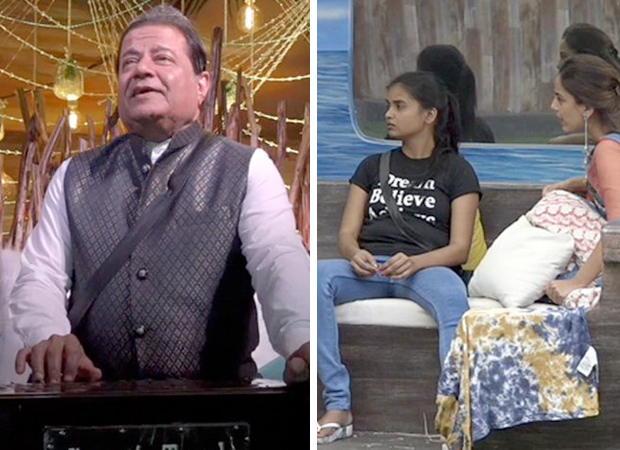 Now, it will be interesting to see how Anup and Jasleen survive in the house as singles and how Anup uses his insights towards Jasleen and other inmates. Sreesanth’s game is also set to change after his changed perception towards Dipika. Stay tuned to find out what happens.